Determine your areas of interest – can you narrow it down to one hemisphere? Continent? Language group? Remote or urban? What type of ministry… kids’ programs? Medical? Construction? Discover your passions and skills and look for a trip that will utilize those. If you can’t hammer a nail straight, maybe building a bridge in Africa isn’t for you. But you love photography? Go for that! Don’t succumb to pressure simply because that’s what others expect or that’s where your friend is going. Find what God is leading you to do! Get a passport, or renew your passport if it expires within the next year. It’s a pain to be waiting on a last-minute passport. Save yourself the hassle of expedited shipping, or even just paying the $85 fee on top of your travel expenses. 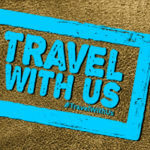 Passports last ten years anyway, so apply now, get the cost out of the way, and you’ll be ready to jump on that next opportunity without the worry of a late passport or finding out that your old passport is set to expire the same day your team leaves. Start saving money. Having some designated money in the bank takes the pressure off fundraising or finding that extra part-time job. A little set aside each month adds up by summertime! Many organizations require a confirmation deposit, so save now and you’ll be ready to guarantee your spot and get a head start on paying down trip costs. Get local ministry experience. “The light that shines farthest shines brightest at home.” [C.T. Studd] While most trips don’t require it, having experience in VBS, audio/visual technology, music ministry, Sunday School, camp counseling, etc., etc., is invaluable. Get involved with your local church and be a servant of all. If you won’t serve at home, you won’t be much better on the mission field. 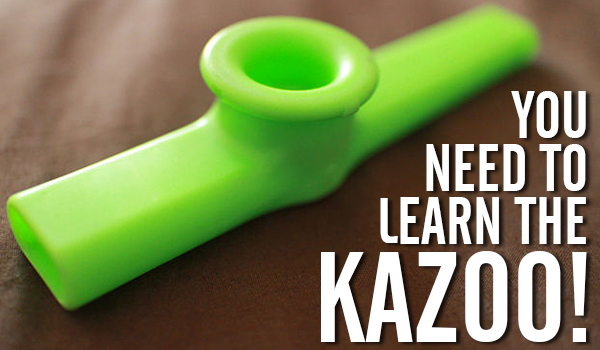 Learn to play the kazoo. 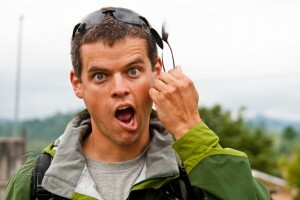 Several years ago I asked a visiting missionary what skills he suggested that are useful in missions. His answer: the kazoo! Yep, you read that right! He knew from personal experience that anything that draws a crowd, puts people at ease, and shows your friendliness will open doors for the Gospel. Be creative! Obvious skills include photography, construction, storytelling, first aid, public speaking, leading kids’ games, or playing a musical instrument. But think outside the box too – face painting, balloon art, hair cutting. Hey, one Chiapas team formed an impromptu violin-bottle-and-spoons pickup band! It broke the ice and eventually we could share the Gospel. Goal accomplished. Talk to other missionaries about their experiences. What did they wish they knew before they went on the field? Why did they go? How did they know God was calling them to that particular location? What encourages them the most? How has missions changed them spiritually, emotionally, or personally? Listen and take their advice to heart. Get in better physical shape. This applies whether you’re doing the “Extreme Team” or your average mission trip. You’re going to face changes in climate, altitude, time zones, food/water, sleep, and germs. The better shape you’re in to begin with, the easier those transitions will be. Drink water, eat your veggies, loose a little weight, or build some muscle. You’ll appreciate it later. Learn the basics of a foreign language. I took two years of Spanish in high school and was grateful for every minute of it on my first mission trip [Peru 2007]. You don’t have to be fluent, but if you learn some basic phrases, common verbs, and a handful of everyday nouns, you’ll be better off than most. It’s a pain to rely on translators for basic things like asking for a restroom or passing the salt at the dinner table. Even if you butcher the language, people will appreciate your well-intended, humble attempts instead of the typical “prideful American” attitude of expecting everyone to speak English for you. Research countries that interest you. What places pique your curiosity? Scour the internet, get library books, watch PBS documentaries, etc., etc. The more you learn ahead of time, the more you’ll appreciate your time in the country. Learn the history, culture, culinary delicacies, landmarks, religious statistics, anything and everything. Prepare spiritually! It’s a MISSION trip, after all. Memorize Scripture like there’s no tomorrow. Verse by verse, chapter by chapter, book by book. It will be a river of life to your soul both on the mission field and off. 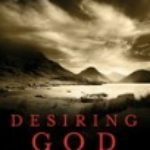 Develop consistency in your devotions, prayer life, and church attendance. Read worthwhile books. You’re not just going on a nice trip; you’re going to a battlefield. Prepare for it! Learn to share the gospel. Something like the wordless book is super easy and systematic. Other methods are good too – Child Evangelism Fellowship, Romans Road, The Exchange… pick something and learn how to use it. It’s fine if you need a translator for the language barrier, but be adept with sharing the gospel and be excited to do so. Find scholarship opportunities. 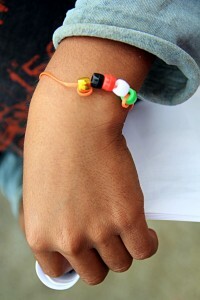 Global Encounters runs an annual photo contest and t-shirt design contest, both of which have trip scholarships. 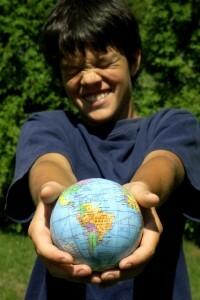 Several Global Encounters people participated in a photo contest sponsored by Mission Trip Insurance. Opportunities abound. Find a few and see how it goes. Every penny counts! Research various mission organizations. This is where I can insert a shameless plug for Global Encounters! Find an organization that is solid on the Gospel, intentional in its purpose, and will provide a good spiritual and outreach experience for you. Look at blogs of past trips to ensure that they’re actually doing what they advertise. Do they spend more time in ministry or in visiting Six Flags on the way home? You might be surprised. Which of these action steps do you need to do? 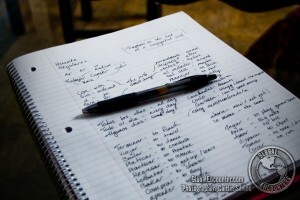 Write a list and get started. Hope to see you on a trip soon! 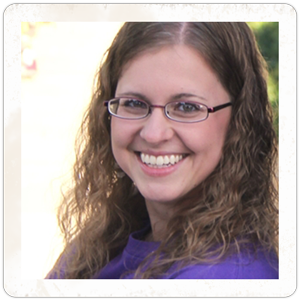 Amy Cook lives in Iowa and serves as the administrator and a team leader for Global Encounters. When she’s not exploring new areas of the world, Amy is a secretary for a home school assistance program and also works with developmentally disabled individuals. She enjoys volleyball, music, coffee, traveling, and quality time with people. Go Amy! Nicely done– Great article, great you, great year to change the world! I’m grateful for you and your ministry. Thanks for the encouragement, Dewey! Glad to be working alongside you in this ministry. Great article – thanks for the photo contest mention! Anytime! It was fun to be a part of and I look forward to the 2014 contest! That’s an afternoon I won’t soon forget! And it’s on video. 🙂 Creative team with a purpose!